Finally off the needles! I have some finished objects to share! 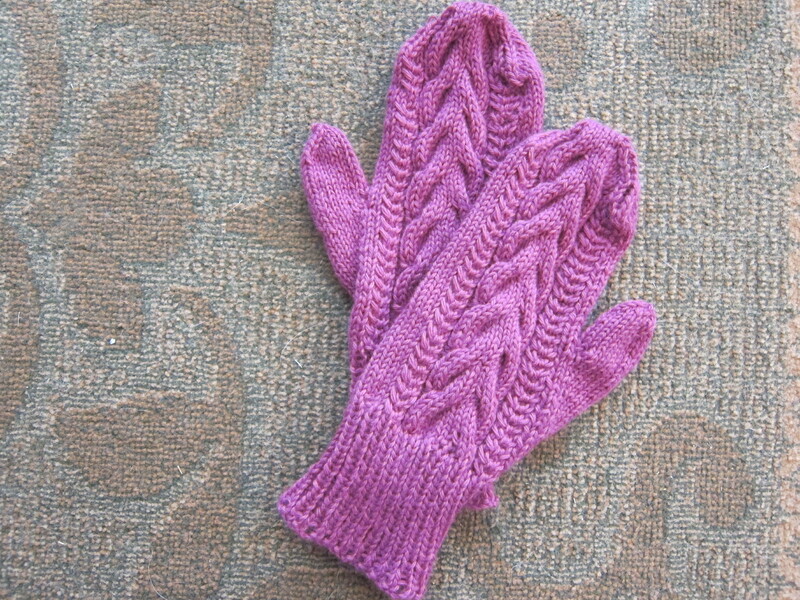 First, I finished my WoodHollow Mittens for NaKniMitMo. I completed these just in the nick of time on January 28th but, as you all have probably come to realize, it takes me forever to get pictures posted! 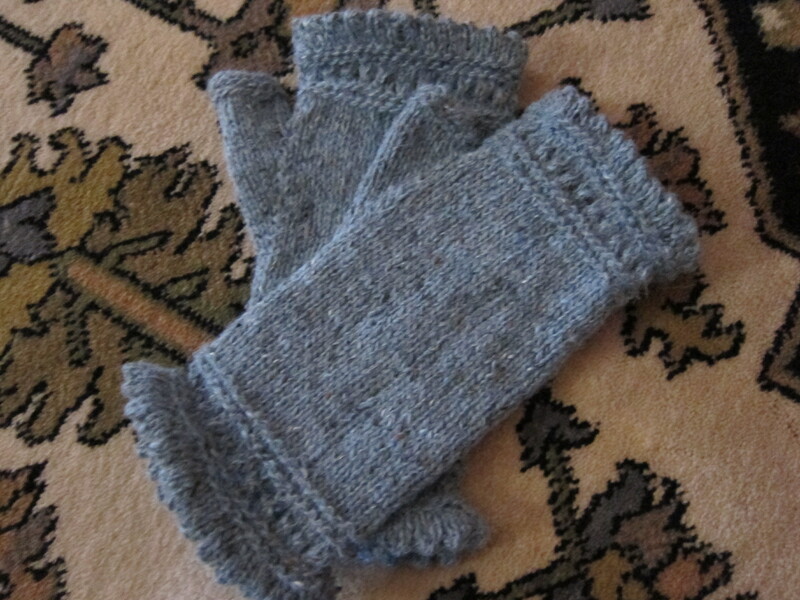 I thoroughly enjoyed knitting these mittens; the cables provide a lot of interest but weren’t too difficult to keep up with. Definitely on my knit again list! With the success of these mittens in hand (so to say! ), I quickly cast on Susie’s Reading Mitts. Another fun, quick and easy knit! 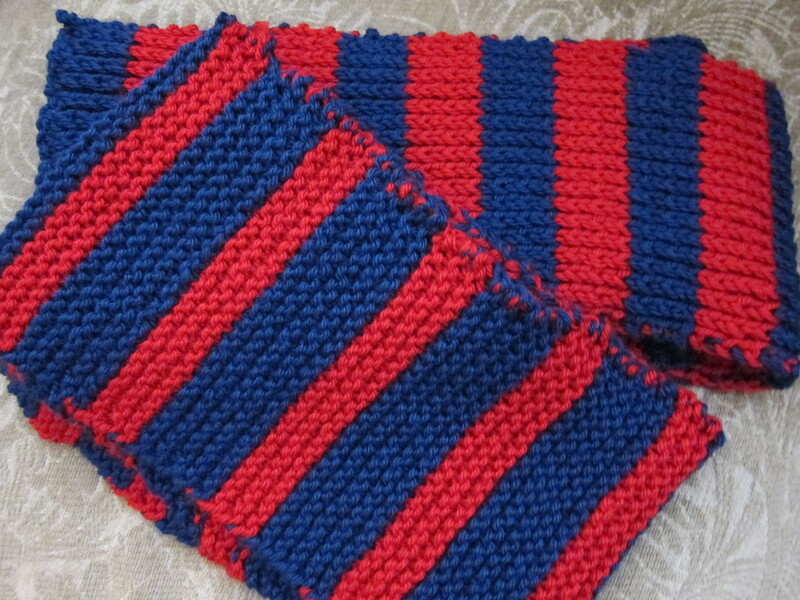 Lastly, my daughter and I finished our Special Olympic Scarves. We sent them off to Alaska which still needed some to meet their goal. I was in awe looking at the Special Olympic Scarves website…almost every state had met its goal! Wow! What knitting projects have you recently completed? Share here!